As long as they are all still worth 3 points I'll take it. Sure we will allow an early goal that'll wake us up. See us winning it 2-1. Don't think it'll be pretty though. This has 1-0 written all over it....will be late and in our favour. That said, we'll dominate...look great and deserve the 3pts. And that will do nicely! I think Lukaku will shine in this match and we'll pick up a comfortable victory. Swansea are one of those teams that actually suits our playing style. Their style of play generally leaves the game open, than teams that sit back and make it hard. They wont sit back at all, and we should be able to find the gaps and win easy as we play similar football but have better quality players. I thought Garry Monk's setup in the cup for them proved some flexibility on their parts and they were willing to play a different way to try and get a result. They weren't as open as they have been in the past. I think like all our games right now it'll be close, but I'm hoping for an improved performance from the Cardiff game. I'll put a nice bet on that we won't. 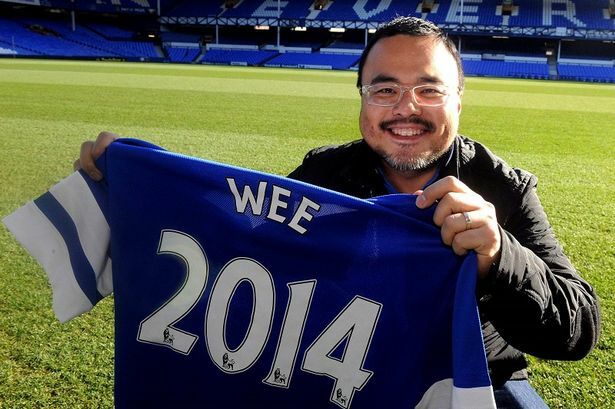 First match at Goodison ever for me this weekend... Can't wait. Check the weather forecast before you set out! Here's hoping you can also find a bar somewhere to watch NC State/Louisville later in the day! !